Ooh, can you feel it in the air? The Boys of Summer are almost back. The dog days of spring (training) will soon turn into another Opening Day where every team is a contender. That, in turn, will give way to the dog days of summer when everyone's sick and tired of baseball. And then football starts. But the vibes are good for now, as most teams kick off their 2019 campaign on March 28. (Although, the MLB season properly starts tomorrow when the Mariners and A's play a quick two-game series in Japan.) Rocket League -- a game about playing soccer as cars, but also sometimes about playing basketball as cars or playing hockey as cars -- has some baseball content to celebrate. 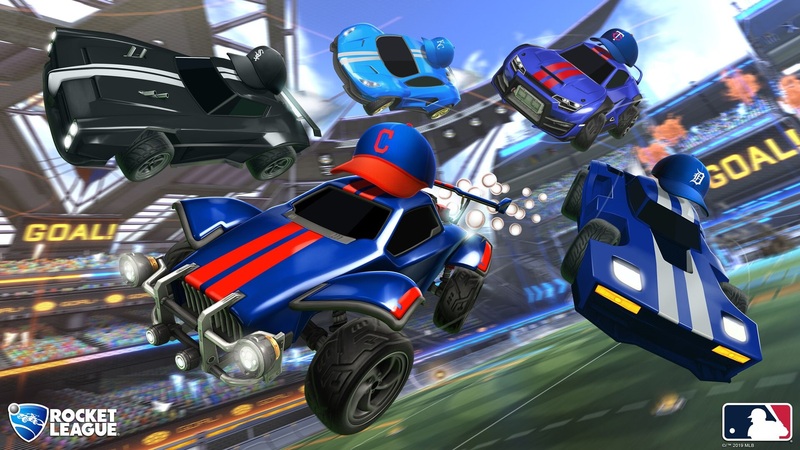 On March 25, Rocket League is getting DLC for all 30 Major League Baseball teams. The $3 pack includes banners, flags, and baseball hat toppers (the cars are like little people!) for every team. Even the Tampa Bay Rays. There's also a generic MLB flag and banner, along with a boost that shoots baseballs out the back of the car. There's a look at every club's cap in the gallery below, sorted by division. In other Rocket League news that definitely belongs on the front page, I hit this banger a couple weeks ago. Was this whole post an elaborate means to show you this tweet? A jury would never convict me.